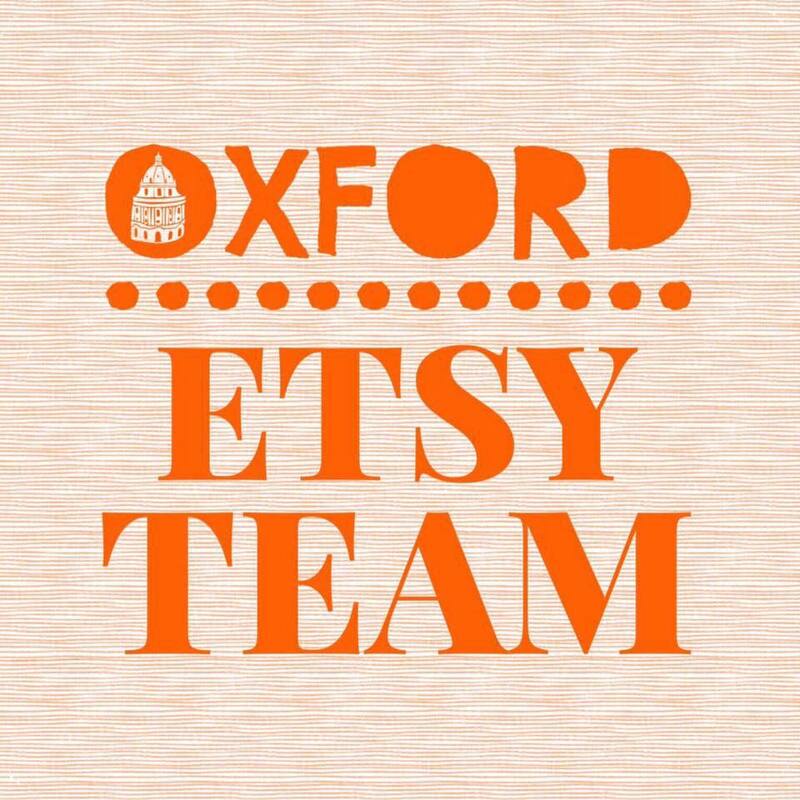 Welcome to our first post in our new series of ‘Sellers Spotlight’ where we will invite a member of our Oxford Etsy Team to tell us more about themselves, their work and design process and what they are most proud of as a small business owner. We will run this series every last Friday of the month. This month we kick off with Karen from Mrs B Designs! I’m a lover of all things creative, even as a young girl I spent my pocket money on felt pens, glue and card, I’m still a stationery addict. I am Yorkshire girl living ‘down south’. I’m very proud of my roots, but left home to do a BA in Fashion & Textiles and then moved to London, to start what was a highly successful career as a buyer. About 5 years ago I took a year out, had a rethink and decided to put my creative energies into a new business, I got married at the same time and Mrs B was born. I gained a great work life balance and a lovely step daughter. Most of all I like a laugh and want to make products that make you smile! My current obsessions are vegan food, why our pet rabbit Jennie is making little squeaking noises, and when it is a good time to get a dog? Oh and dreaming about when I can retire! Purely by chance! I found Christina O’Hare on Facebook, through a post about a pop-up shop in Abingdon. In order to sell in the pop-up, I needed to be on Etsy, Christina encouraged me to do it and I joined the Oxford Etsy Team, the rest is history! I started with 4 listings, I now have 62 listings (just about to add more), 361 sales and 66 five-star reviews! I’m an animal and slogan lover, so my designs revolve around these topics. My favourite artist is Matisse and in my final degree year I worked on his ‘cut out’ era as one of my themes, I still work like this today, except if I’m working on slogans, then I use my iPad! When I have a collection of designs ready, I head off to the printers, where my designs are plotted onto acetate and exposed onto a big screen, all ready for me to screen print at home. I’m very lucky to have an understanding husband (nicknamed ‘Ronnie I just carry’ by another Etsy team member). I screen print in “our” garden studio, sew in “our” attic room and pack orders on “our” dining table! WHAT ARE YOU MOST PROUD OF IN RUNNING YOUR OWN BUSINESS? Having the courage to leave my high paid, high powered but high stress job, to start again. It’s easy to forget what we small businesses achieve every day, every week, every month, so take a few minutes to look back and be proud of what you’ve done so far. SHOUT-OUT TO A FELLOW ETSY SELLER? OMG what a question to ask?! There are so many talents, but it must be Christina O’Hare from Christina Made It. If it wasn’t for her encouragement, support, and her no flap stay calm attitude I wouldn’t have an Etsy shop. I’ve also ordered some fabulous personalised Jewellery from her, just stunning! Here we will post about everything the members have been getting up to throughout the year.